Hard stops are data “errors” that cannot be overridden by the lender. 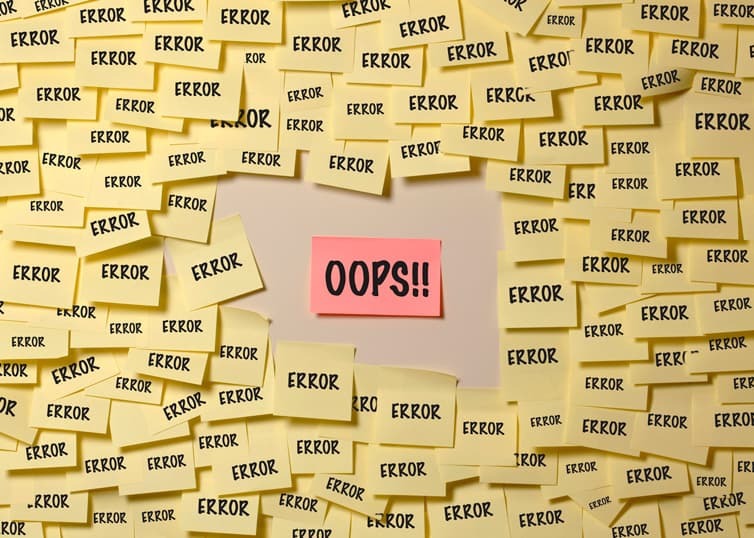 When the UAD and the UMDP were first implemented, lenders were allowed to override errors that would pop up when they did their check of the report. Eventually, Fannie Mae and Freddie Mac announced that they were going to be employing a modification of the program that was going to stop this incorrect data from being transmitted, and the lenders would not be able to override these error messages. These errors become “fatal UAD edits,” also known as UAD hard stops. For appraisers, this means that the lender now has to go back to you and have you correct or reformat the information, or else the appraisal report and loan data cannot be transmitted to Fannie Mae. The best way to prevent UAD hard stops is to become familiar with them—so that you avoid making these mistakes in the first place. Here’s a review of the UAD hard stops, divided into the four phases in which they were implemented by Fannie and Freddie. Take a deep dive into Fannie Mae’s guidelines, policies, and guidance with our CE course: Fannie Mae Appraisal Guidelines: Debunking the Myths. The appraisal effective date has to be properly formatted. The contract price and comp sale price has to be in whole numbers. GLA for the subject and comps has to be in whole numbers. The sale type for subject and comparables must be from the transaction list, which includes non-arm’s length, REO, etc. In Phase II, effective in January 2014, Fannie and Freddie implemented that the quality of construction can only be Q1 to Q6. Formerly, if you put something else in for quality and condition, it would give an error message, but the lender could override it. Now, the lender can no longer override the error message. They also implemented that the condition rating can only be C1 through C6. You’re not permitted to enter anything else into those fields on the forms or else an error message will come up. This would be a fatal UAD edit, and when this happens, the lender will not be able to transmit the appraisal report to Fannie Mae until that fatal error is corrected. The same goes for location rating: it’s N, B, or A—that’s it. The view rating must be N, B, or A (neutral, beneficial, or adverse). The subject address has to be all there. You have to have something in there for the city. The two-character abbreviation for the state is required, and the zip code must be entered in the required format—either five digits or ZIP+four (with or without the dash). For condominiums, all of the address information has to be in there, plus there must be a unit number on the form. In the sales comparison approach section of the form, for the subject and comparables, the same information is required: street address, property city, the two-character abbreviation for state, and the ZIP code. The same requirements go for the subject and comparables address information in the sales comparison approach for the condominium form. The address information, city, state, ZIP code, plus the unit number for the subject property and the comparable properties all must be provided. If you (the appraiser) check the box on page 1 of the form that says that it’s a purchase transaction, then the contract date must be provided in the appropriate format. If you check that your comparable sale is an active listing, then you cannot provide a sale date or a contract date. If the comparable property is indicated as a contract sale, expired listing, or withdrawn, then only one date is required in month/year format. If the comparable property is a settled sale, you need two dates there; the sale date followed by the contract date must be provided in month/year format. If you don’t know the contract date (sometimes you don’t), you can put “UNK,” which means the date is unknown. The last several hard stops deal with the appraiser’s identity. If the appraiser is on Fannie Mae’s 100% review list, that becomes a hard stop, and the lender will not be able to submit the appraisal report without obtaining a review on the appraisal. This also applies to the supervisory appraiser. Depending on who signs the report, the supervisory appraiser may be on the 100% review list or the appraiser may be on the 100% review list. In either case, a review will be required. Also, hard stops will occur if either the appraiser or the supervisory appraiser is on the “do not accept” list. After Phase IV, Fannie and Freddie subsequently implemented another program called CU3.1. You can learn about that program—and much more—by enrolling in our course, Fannie Mae Appraisal Guidelines: Debunking the Myths. Ready to take a deep dive into Fannie Mae’s guidelines, policies, and guidance? Enroll in Fannie Mae Appraisal Guidelines: Debunking the Myths.